In the second century BCE, the Chinese united under a single clan known as the Han, and so was formed the Han Dynasty. Our previous blog describes this in the briefest of historical accounts. During their reign there were many court intrigues, social upheavals, military coups and failed restaurants that were the everyday stuff of Imperial Life. Despite this, the era we know as the Han Dynasty produced incredible advances in the sciences, technology, the everyday life of China, and in none more so than in the field of medicine. During the Han Dynasty, three medical texts were published that are still considered the bedrock of Oriental medicine today. The first was the Huang Di Nei Jing which translates as The Yellow Emperor’s Classic of Internal Medicine . Within its pages is explained the basic theory of Chinese medicine. It gave a description of the acupuncture channels and the internal organ systems of the body and laid down the idea that a human life was affected by both external influences (infection, trauma, etc.) and internal disharmony (organ weakness, nerve pathologies, etc.). It is a vast text containing the total medical knowledge of a thousand years. It was also the first time that illness was seen as physical disharmony and not the result of supernatural forces. And it was extremely difficult to read………and so………a second classic was written to explain the first! The second classic is called the Nan Jing or the The Classic of Difficulties . As the title suggests it was written to explain, in clear terms, the difficult aspects of the former book. From these two texts, Chinese Medicine became a functional coherent form of healthcare. It is remarkable to think that the theories in these tomes are still in use today. They have been refined and changed as circumstances dictated but the core principles have withstood the test of time. It would be easy to think that Chinese medicine could stop there or even take a break for lunch. But it didn’t, and, because it went hungry, we can now talk about the third classic. 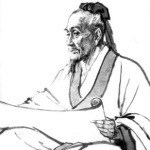 Towards the end of the Han dynasty, something happened that led to a book being written. And what a book it is. 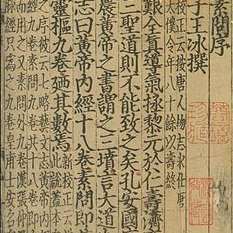 It was called the Shanghan Zabing Lun , written by the physician Zhang Zhongjing. It is actually two books in one. The first of these is called the Shanghan Lun and the second is called the Jinkui Yaolue which translate as The Treatise on Febrile Disease Caused by Cold and Secrets from the Golden Chamber respectively. And if you thought the Nei Jing was a difficult read, these two beauties are a maze. They are prose and thought, they are a jumble of meanings and herbal formulas, they are erratic and confusing, and they have ben argued over for two thousand years. What’s more, all the sages of the past have given dire warnings to any practitioner who fails to master them. When writing a medical classic that is to be used to heal, but contains knowledge that could also be used to for profit and manipulation, you have to be pretty darn careful who reads it.